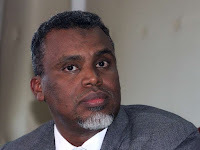 Friday September 14, 2018 - Director of Public Prosecutions, Nordin Haji, has said he will prosecute Chief Executives and employees of banks who helped ship out billions of shillings from the National Youth Service (NYS). In an exclusive interview with a local daily on Thursday, Haji said all those bank CEOs and managers who were involved in NYS looting will be arrested and prosecuted. “Those implicated will be prosecuted," Haji said. Haji spoke a day after the Central Bank of Kenya (CBK) fined five commercial banks a total of Sh392.5 million in connection with the theft of funds from the NYS. Those penalised are KCB Group (Sh149.5 million), Equity Bank (Sh89.5 million), Standard Chartered Bank-Kenya (ShSh77.5 million), Diamond Trust Bank (Sh56 million) and Co-operative Bank of Kenya (Sh20 million). On Thursday, the five banks were understood to have convened crisis meetings to assess their compliance levels with anti-money laundering guidelines as panic spread across Kenya’s banking sector following the CBK announcement.